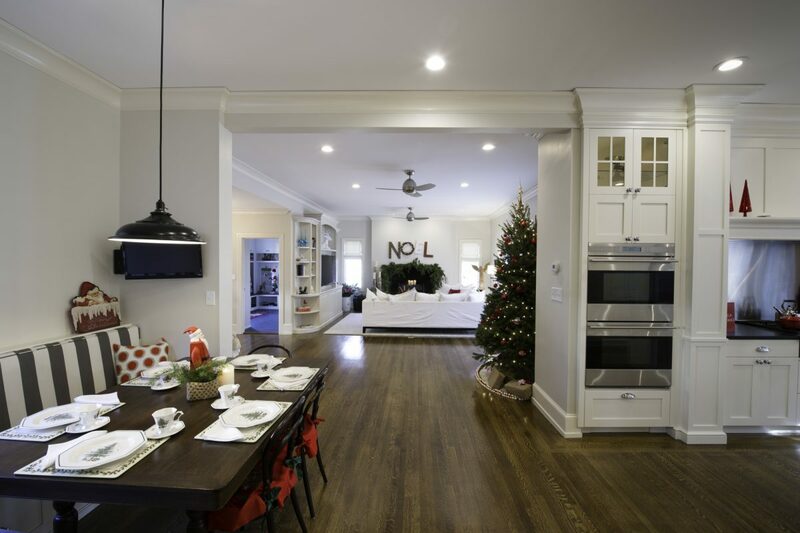 The Gift That Keeps Giving – A Home Remodel | R. Craig Lord Construction Co. The holidays are a time when your home is put to the test with hosting parties, out-of-town overnight visitors, and creating special family time. We find that this is the perfect time to assess how your home feels and functions for you. Try to take a quiet moment between the festivities, make a cup of coffee or pour a glass of wine, and stroll around from room to room asking, what special gift would I give this room? Sometimes it may be to fix items that are in-need of repair, improve the flow of guests from room to room, add finishing touches to refresh a tired room, or if it has been awhile, a complete remodel. Here are a few high impact ideas for updating your home. The power of Trim: An easy way to add architectural detail and character to your home is with upgraded crown molding, baseboards, and casings around doorways and windows. There are many types and sizes of trim that we use to create the specific look and feel you want to achieve. Out with the old: Updating windows and doors creates a new appearance and benefits a home’s energy efficiency at the same time. Another easy fix is refreshing the interior with a new coat of paint creating a new look that refreshes and updates the home. A welcome Entry: Consider how your guests view your home from when they arrive at the front. Create a welcoming entry and protect guests from rain with a new portico, new door, updated lighting fixtures, and detail trim. Party in the Kitchen? It’s a mystery why most parties usually end up in the Kitchen. Today’s Kitchen doubles as an entertaining space where guests seem to be naturally drawn to. If you find yourself shooing guests out of your kitchen, it might be time for a Kitchen remodel. A Kitchen remodel is truly a gift that keeps giving. It adds functionality to the space, enjoyment to your life, and value to your home. This holiday season, we encourage you to take a moment to make your home remodeling list (and check it twice) to find out if your house is ready for a remodel. From all of us at R. Craig Lord Construction, we all wish you a wonderful holiday season and look forward to working with you in 2019!